Traditionally, if you needed to acquire a loan, you would have to, first get all of your paperwork together. While going over in your mind how to word your plea to the loan officer. Then you’d have to get up nice and early, dress in your best, making sure to look like you can afford to make payments on a loan and then drive down to the bank, credit union, or loan company. Whichever you’d choose, it’s still about the same. You sit uncomfortably in a chair that’s either way to big or way too small while this stranger learns all your monetary secrets, tippy-tapping on their computer and looking down their nose, just to tell you that you need collateral! Believe me, we’ve all been through a version of this story. Whether you need to consolidate some bills, take out a loan for a car or home improvement, or find out what your credit limit is so you can plan a vacation, the Internet has made acquiring a loan so much easier. We can all breath a sigh of relief! All types of loans are readily available on the Internet, no matter what your credit rating is. In fact, there are loan companies which specialize in finding lenders for those who have bad credit. Online loan companies have changed the way the entire lending and borrowing system works. The better your credit, the more attractive terms you can easily find. You can literally submit a loan application to five different companies in less time than thirty minutes. You can hardly drive to the bank in that time! Online loans are becoming more and more popular. In fact, online lenders have granted billions of dollars to borrowers just like you. Look at it this way. Online loan companies exist for one reason and one reason only: to satisfy the needs and demands of the consumer. People ask for an online loan and the lenders gave it to them! You may think that, logically, a bank or credit union is more trustworthy, but that’s just not the case. Online loan companies adhere to the same laws and regulations other money lenders do, such as banks and credit unions. Here are 8 reasons why people choose online loan companies. #1– Emergencies- Obviously, most of us try to plan for our expenses, including those we don’t anticipate, but sometimes things just happen. We’re caught unaware and broke. Sometimes you need money quickly and can’t wait until the bank opens or even until a loan can be approved by that type of lender. Online loans are best for emergency situations because you may be approved in a matter of minutes and the money may be deposited into your account as soon as the very next day! In addition, you don’t have to explain why you need it; you can just borrow it and use it how you like. #2– Convenience- What could be more convenient than filling out a loan application from the comfort of your own home? No getting dressed, no getting stressed, just you and your computer! Apply for a loan when you have time, not when banking hours dictate. #3– Easier Access- You can check out a lot more loan companies online than you would be able to in person as well. How long would it take you to go to five different banks and/or credit unions, apply for loans, and get the terms, in order to compare them? A week? 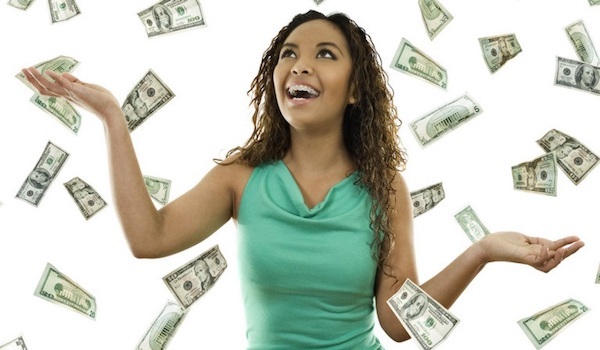 With online loan companies, you can do all that in less than a day! Pick and choose who you want to do business with; don’t take the first offer you get. You may get a better one. #4– Lower Rates- Again, shopping for loan companies online gives you the time and parameters to check out rates from several different lenders. If you have good credit, lenders will be vying for your attention. However, if you are looking for online loans for bad credit, there are a few different companies to choose from there as well. From great credit to bad credit to no credit, there’s a loan company for you. #5– Better Chance- Because there are so many different online loan companies, and even some banks are now doing online loans, you not only have a better chance of receiving a loan, but you also have a better chance of receiving a loan with preferable terms. In fact, acquiring loans online gives you an all-around better chance for a positive experience. Additionally, should you get stuck and need to speak to a representative, most online loan companies also have live chat. It’s just like texting; you don’t have to see them. #6– Twenty-four/Seven Service- Day or night, no matter the time zone, you can apply for a loan at any time you’d like. Furthermore, as mentioned before, online loan companies also have what’s called live chat. It’s free and it’s really just like instant messaging or texting. Someone always answers. Does your bank do that? #7– Saves Time- How long would it take you to get all your paperwork together, prepare a speech, get ready, drive down to the bank, wait to be seen, bare your soul to the loan officer, find out the offer of terms, accept it, drive home, get undressed, and return to your previous state? I’m guessing a LOT more time than it would take you to simply sit down at your computer, choose a top online loan company, and apply for a loan, an hour tops. Why take up half a day going to a bank when you can get a loan online in a lot less time? #8– Life Doesn’t Slow Down- This last reason is really just a gigantic reason umbrella, covering every reason why you should choose an online loan company if you need to borrow some money. Life doesn’t slow down and wait for you to take a day out of your busy schedule to go to the bank. Make things easier on yourself and check out online loans first. See what kind of terms you can get. You’re going to be in for a surprise when you get up from your computer. Thirty minutes or an hour later with an approved loan, getting right back into your life without even missing your stride. Online loan companies just make life easier. Don’t we all need something to be easy for a change?